There are a plethora of choices in the Indian car market today and if you are looking for an entry level sedan you will often end up confused between cars. The Maruti Suzuki Dzire and the Toyota Etios are two such cars that often find their way onto the wish list of buyers in this segment. We asked the CarToq community which of these two cars they would buy; take a look at what the poll revealed. Here we try to find out why the CarToq community so strongly believes that the Maruti Suzuki Dzire is a better car than the Etios based on a quick comparison. 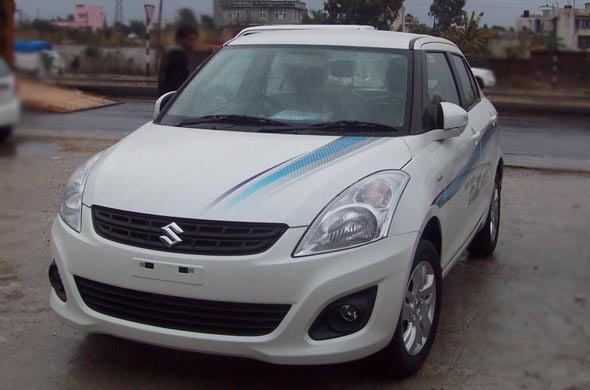 The Swift Dzire starts from Rs. 4.88 lakh for the base petrol variant and goes up to Rs. 7.23 lakh for the top of the line diesel. The Etios starts at Rs.5.14 lakh for the base variant and climbs up to Rs. 8.15 lakh for the top of the line diesel variant. Toyota is clearly charging a premium for the brand name but the Maruti Suzuki Swift Dzire still seems more value for money. Photo: The Maruti Suzuki Dzire has proved to be the most popular amaong buyers once again!The Maruti Suzuki Dzire has proved to be the most popular amaong buyers with amazing sales month after month! The diesel Dzire is powered by a 1.3-litre diesel engine that makes 75 Bhp of power and 190 Nm of torque. On the other hand the diesel Etios has a 1.4-litre diesel engine that makes 67 Bhp of power and 168 Nm of torque. So it is evident that the diesel Dzire is more fun to drive. When you compare the petrol variants the Dzire with its 1,197 cc engine makes 86 Bhp of power and 114 Nm of torque. The petrol Etios on the other hand sports a 1,496 cc engine that makes 89 Bhp of power and 132 Nm of torque. So if its petrol variants you are looking at the Etios has a mild edge. In terms of handling, the Dzire is better than the Etios as its stiff suspension setup and the compact dimensions curb body roll. See our Toyota Etios video review here. The Etios is a very spacious car and if its space that you are looking for the Dzire falls sorely short. The seats of the Etios are thin but offer good lumbar, under thigh support and knee room. The rear seat is especially comfortable and the flat floor adds to the comfort. The Dzire although not as spacious offers all round comfort for front occupants. However in the rear it is cramped compared to the Etios. Even in terms of boot space the Etios has 595 litre of luggage space while the Dzire has a small 316 litre boot. Here, the Etios has a significant advantage over the Dzire. The 2012 Dzire looks much better than the older Dzire. It looks almost exactly like the Swift from the front with nothing but the grille to differentiate it. In profile however the Dzire looks awkward and still fails to look like a proper three-box sedan. The Etios is a proper three-box sedan but its design is to tame and uninspiring. 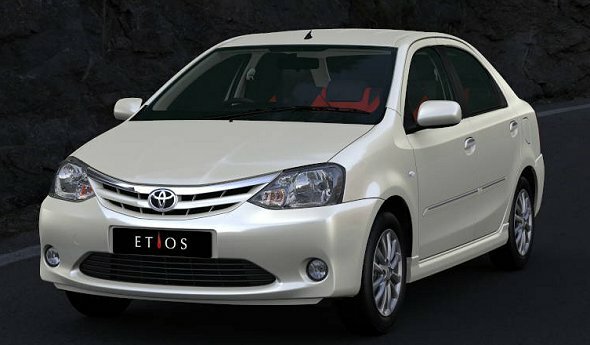 The Etios offers with features like dual SRS airbags, ABS with EBD , air conditioning, power steering, power windows, remote central locking, tilt steering, DVD audio system, steering mounted audio controls, alloy wheels, a cooled glove box, a rear defogger etc. But the offers features like automatic climate control, ORVM integrated turn indicator, display for average fuel consumption, range, outside temperature etc which are not offered in the Etios. So feature wise the Dzire deserves all the votes it got. « Hyundai i10 vs. Maruti Suzuki Wagon R: Which car is more practical?